Today is the Victory Day or as it’s known here – Victory in Europe day. I wrote about it last year and I don’t have much to add – not much has changed except the number of veterans who are still with us is getting smaller every year. 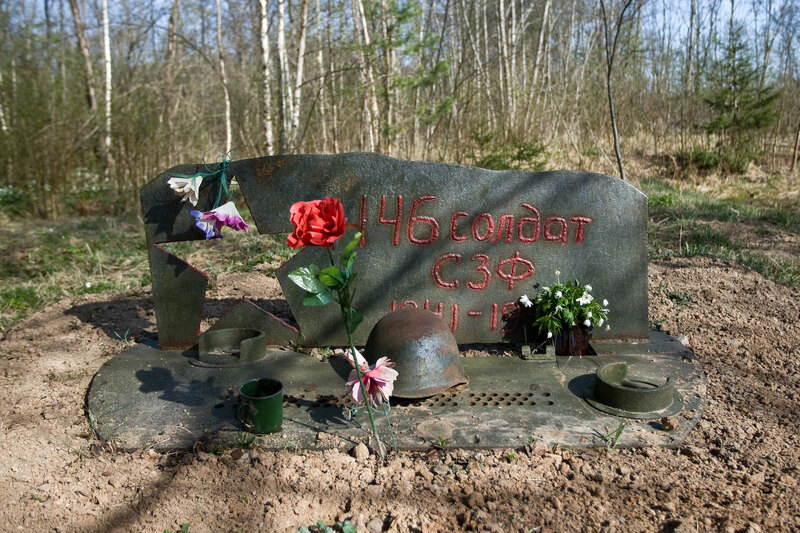 Instead I will link to a post from a very talented photographer and one of the most popular Russian bloggers about an effort to finally recover the bodies of the Soviet soldiers lost on a battlefield, uncover their names if possible and more than 60 years later give them the honors they deserve. There are hundreds of thousands soldiers in the fields like this one, one of them is my Grandfather. The article is translated by Google Translate so the quality may not be perfect but I wanted you to see the photos. These people are true enthusiasts and doing this pretty much on their own time and hardly any financial help. Towards the bottom are some photos of the German Cemetery financed and maintained by the German government.